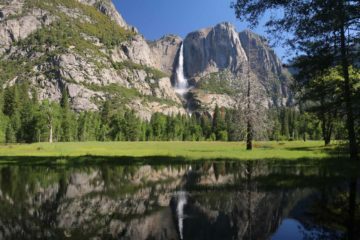 Bridalveil Fall (that’s right, they omit the “s” from Bridalveil Falls) is one of the iconic waterfalls of Yosemite Valley. 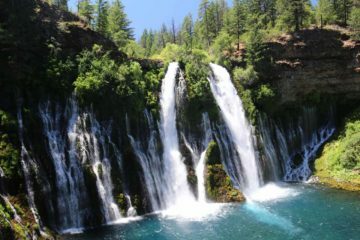 It left such an impression on us that we gave it a spot on our Top 10 Waterfalls in the USA List. 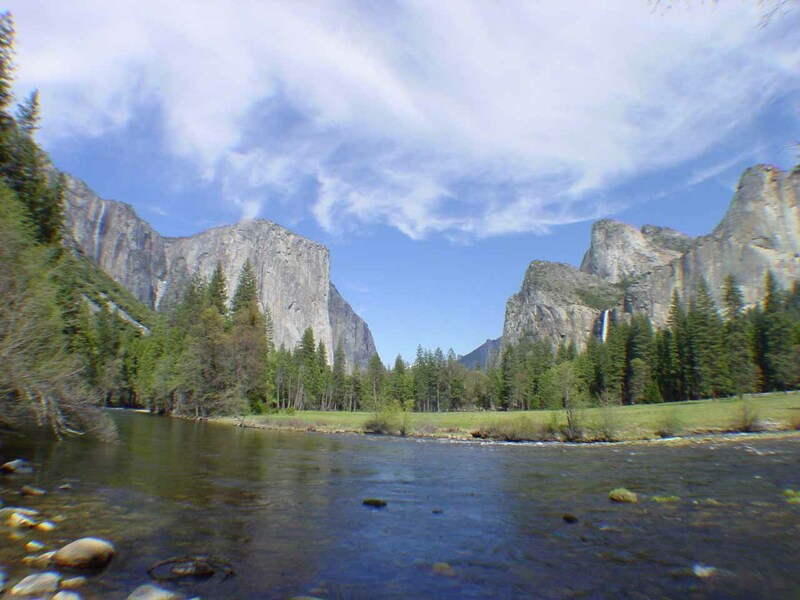 The Gates of Yosemite scene where this falls stands opposite the mouth of Yosemite Valley to El Capitan is often what comes to our minds (and just about everyone else’s) when we think about Yosemite National Park. This scene even graces the park entrance signs, where you’ll undoubtedly find someone taking that “I was there” photo right in front of such signs. 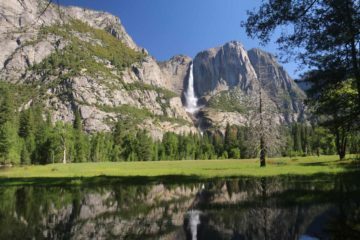 Indeed, ever since the landscape photographer Ansel Adams captured and immortalized the “Gates of Yosemite,” it was probably instrumental in making Bridalveil Fall one of the most (if not the most) photographed waterfalls in the park! 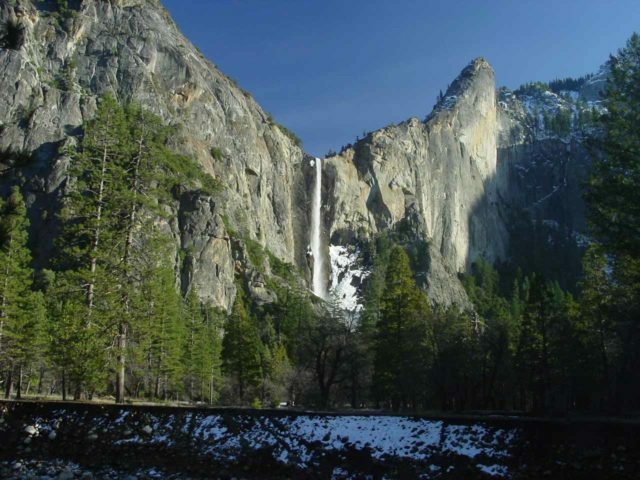 The waterfall is said to be 620ft height and is one of the few waterfalls in the park that flows year-round. 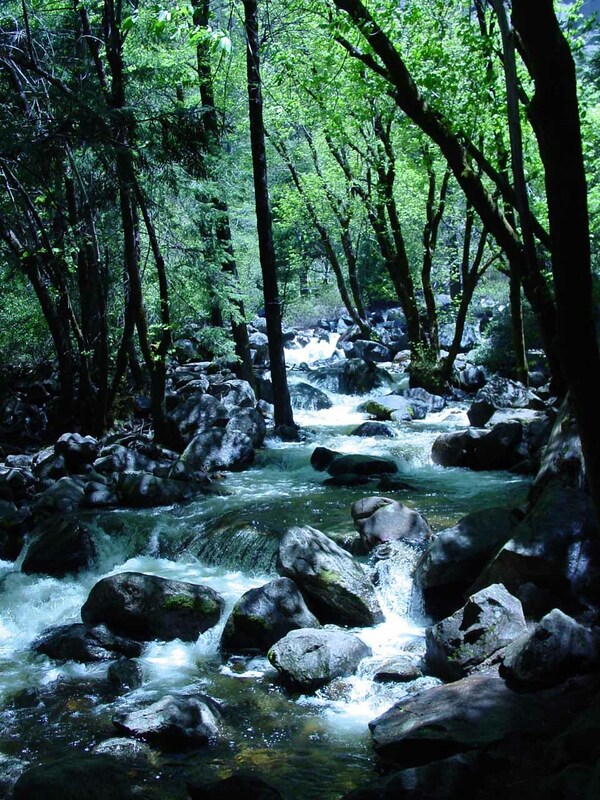 Even though its drainage is much smaller than that of Yosemite Falls (which doesn’t flow year-round), this waterfall has a more lush and shaded drainage which keeps Bridalveil Creek flowing and thus keeps the waterfall flowing. 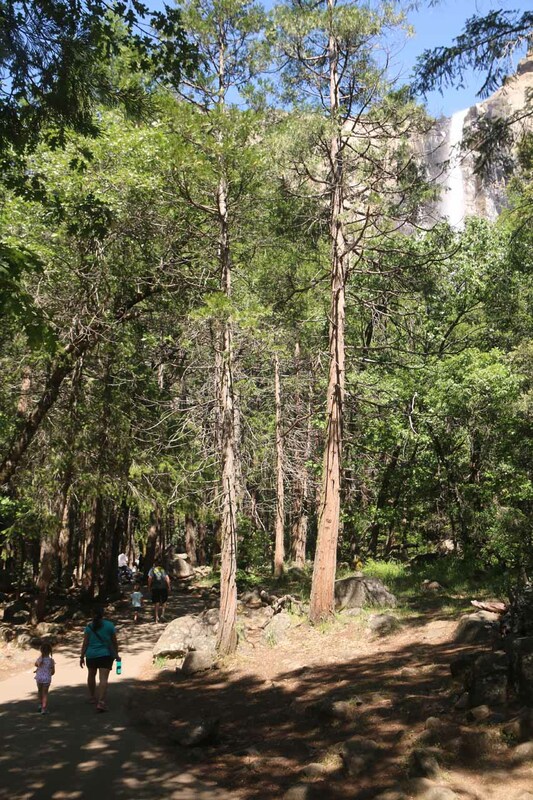 We’ve seen this waterfall almost every time we visit Yosemite National Park. 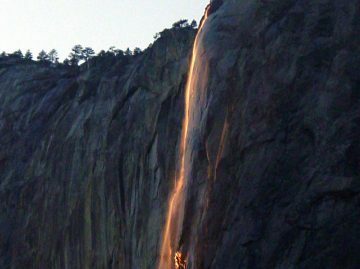 So we’ve seen it in various forms and moods whether it glows softly with the setting sun or the waterfall rages so powerfully with the Spring snowmelt that it generates its own wind and microweather. 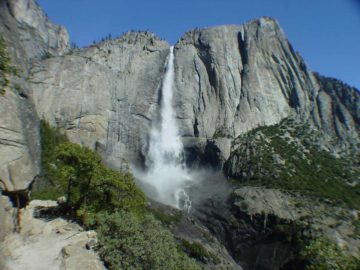 In fact, the Native Americans here called the waterfall “Pohono” which is said to translate into something like puffing or evil wind. 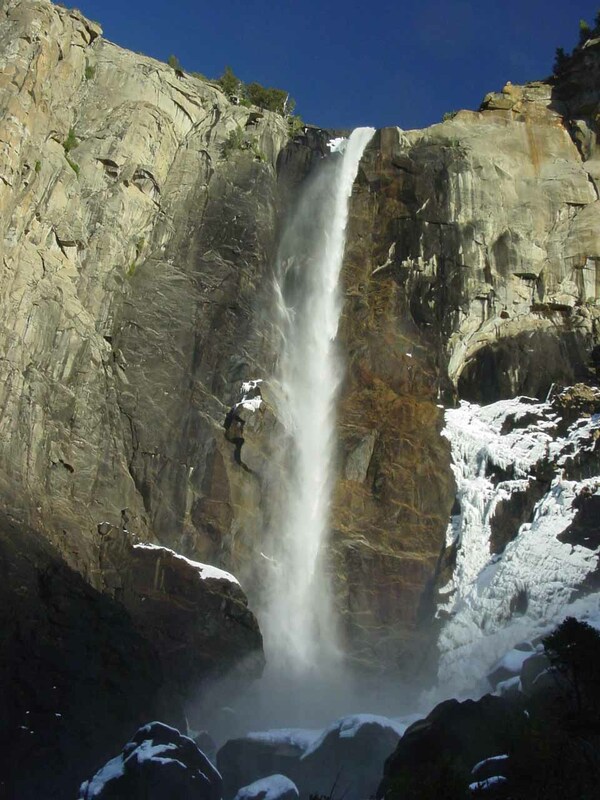 Furthermore, we’ve managed to experience this waterfall in a variety of ways. 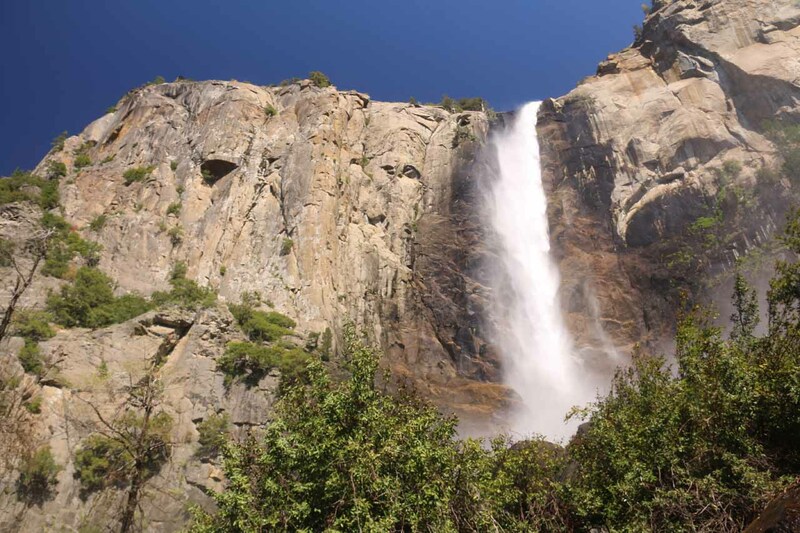 So instead of directing you to a particular spot, we’ll give you directions and descriptions to each of those various ways to see Bridalveil Fall. That way, you can choose how you want to experience it. If you want to get up close and personal with this waterfall, this is the way to do it. 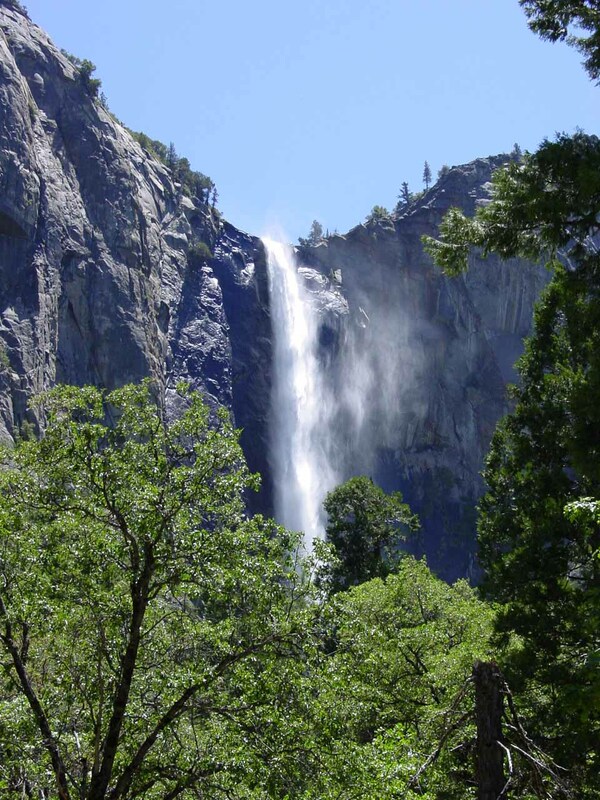 A 1/4-mile paved walk (wheelchair accessible) leads right to the base of the waterfall from its nearest car park. 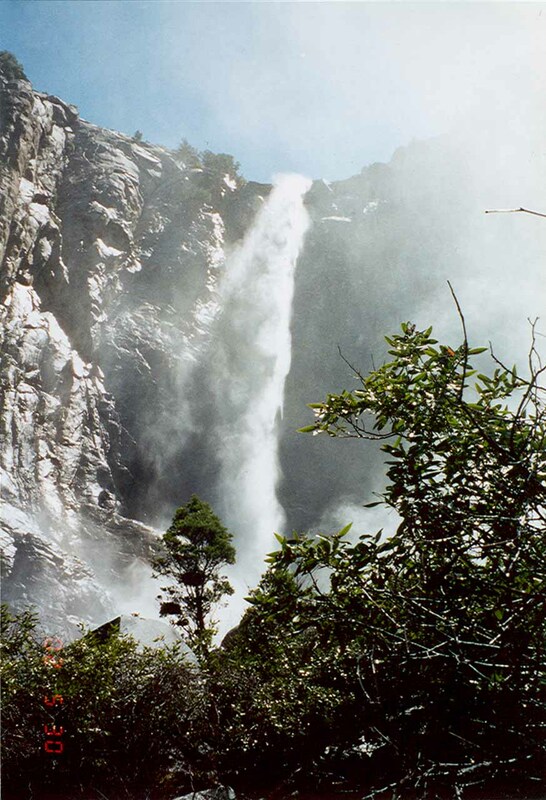 During the Spring snowmelt, we’ve experienced this spot when the entire base was blanketed in mist as the falling water scattered in that self-generated puffing evil wind. However, in the Winter, we noticed that there was some ice on the trail despite the waterfall having lower flow with some crusting of snow flanking its drop. 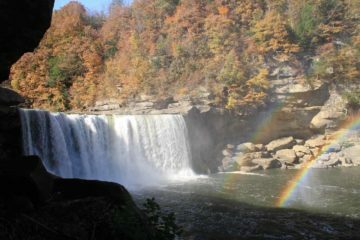 When we saw this waterfall in the late afternoon, we were able to see a rainbow arcing near the misty base as well as from the car park. 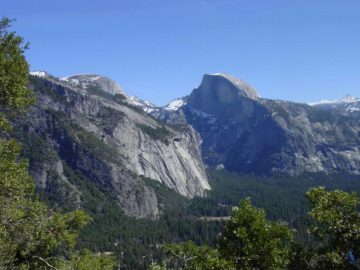 The car park for the short walk to its base is at signpost W1, which sits about 1.5 miles downhill from the Tunnel View (the busy lookout point just as you leave the tunnel on Hwy 41). During busier times, the parking lot here may be so full that it causes traffic. Therefore, we’ve also seen people park at pullouts across the Wawona Road. 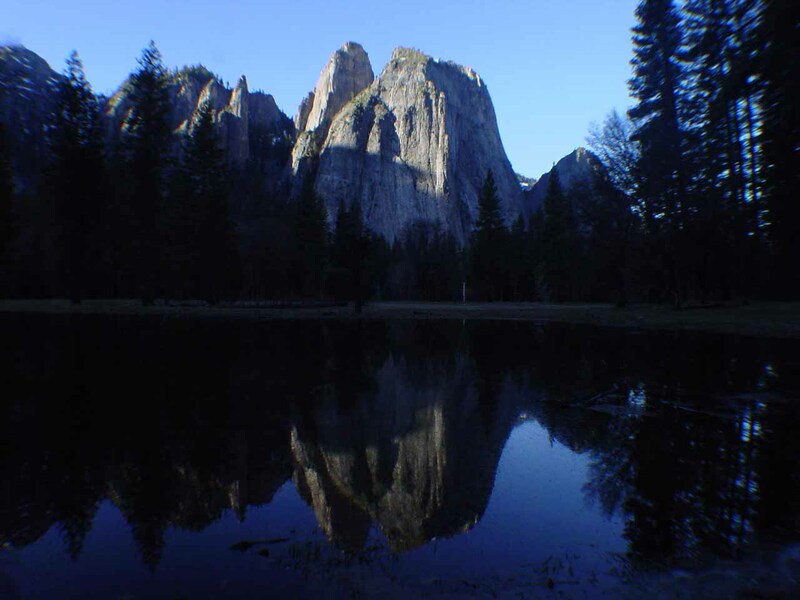 That said, if you do try to park there, be aware that there’ a blind turn there from people turning right (often speeding well past the 25mph speed limit) to leave the valley and go up the Wawona Road. In addition, there’s also opportunities to park along the much longer pullouts along the Southside Drive near signpost V14 (also discussed further down this page). 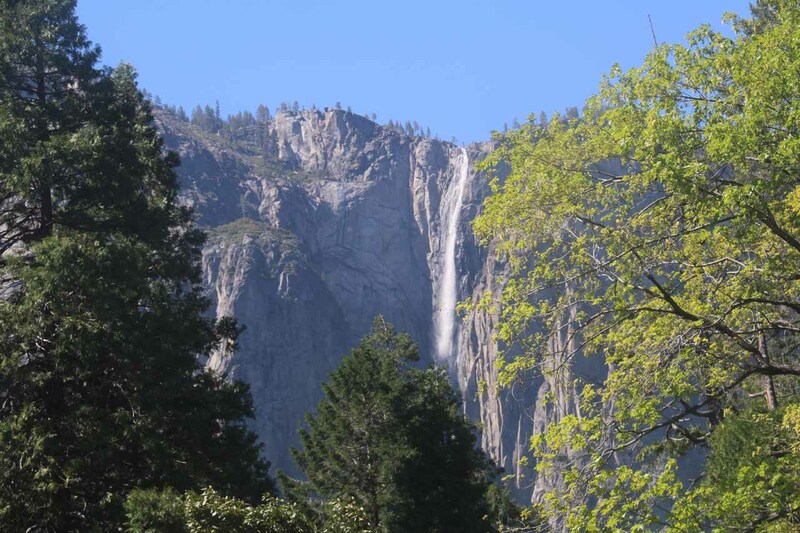 From there, I was able to take a 0.4-mile trail (each way) to the base of the falls as it joined up with the main trail after crossing a couple of bridges spanning sections of Bridalveil Creek. 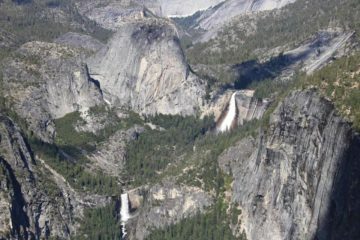 As mentioned above, this viewpoint is where you can take your shot at replicating that Gates of Yosemite photograph that Ansel Adams made so famous. 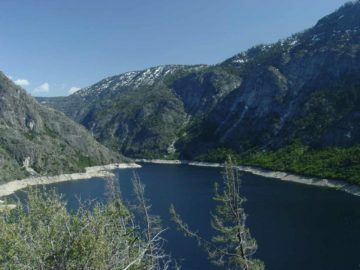 Typically, if you’re driving to Yosemite Valley from Fresno along Hwy 41, the dramatic scene unfolds just as you leave the long tunnel as the road descends into the valley. It’s a good thing they make you slow down as you leave the tunnel so you can both react to the dramatic scene unfolding and still have the wherewithall to turn into one of the car parks on either side of the road to stop the car and take in the scene. 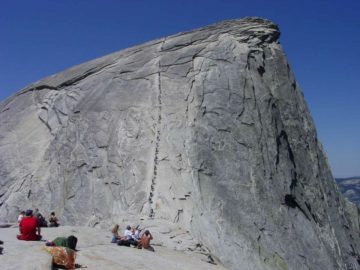 If you’ve got the Yosemite Road Guide published by the Yosemite Association, this lookout is at signpost W2. Similar to the Tunnel View, you still get the Gates of Yosemite subjects. 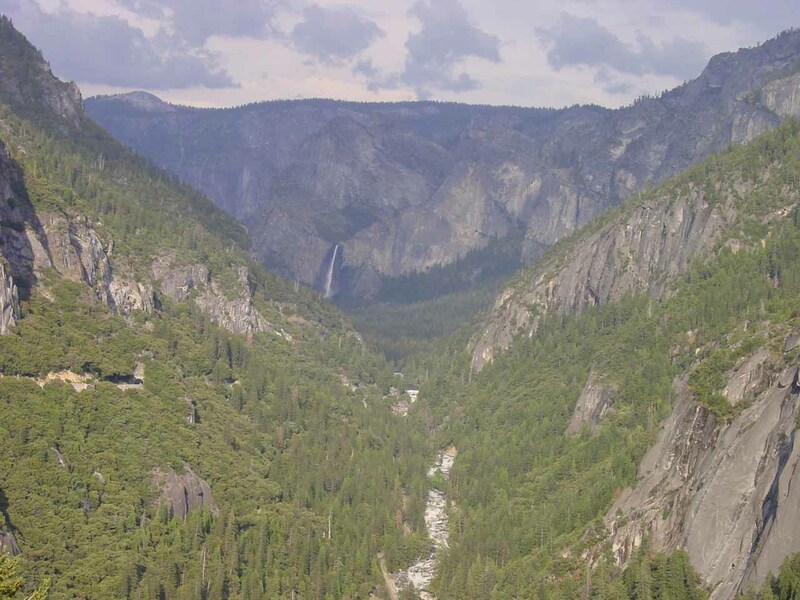 However, this lookout sits on the valley floor alongside the Merced River at signpost V11 near where the Northside Drive junctions with both the Southside Drive as well as Merced Road. 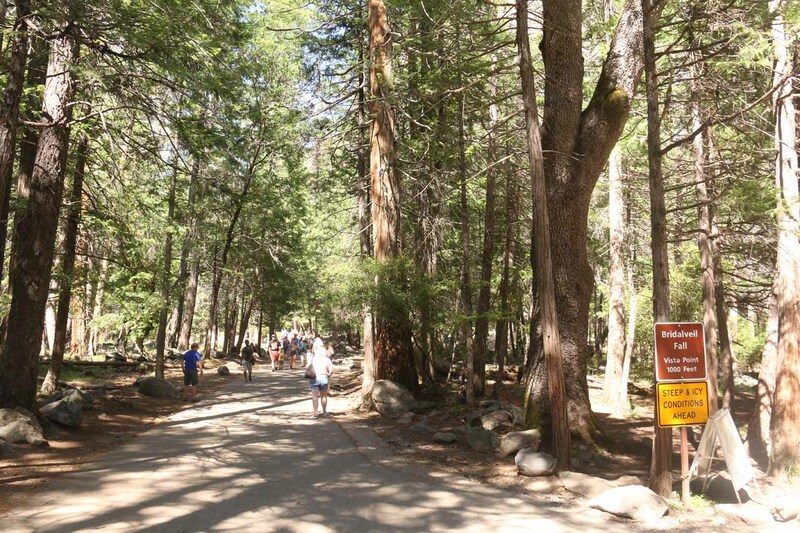 Note that Merced Road leads to both Big Oak Flat Road and the Arch Rock or Western Entrance so if you’re intending to return to the valley, make sure you turn left at the junction by the Pohono Bridge (which traverses the Merced River). 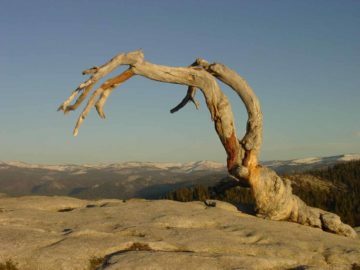 Otherwise, if you find yourself leaving the valley, then you know that you’ve missed the turn to go back. 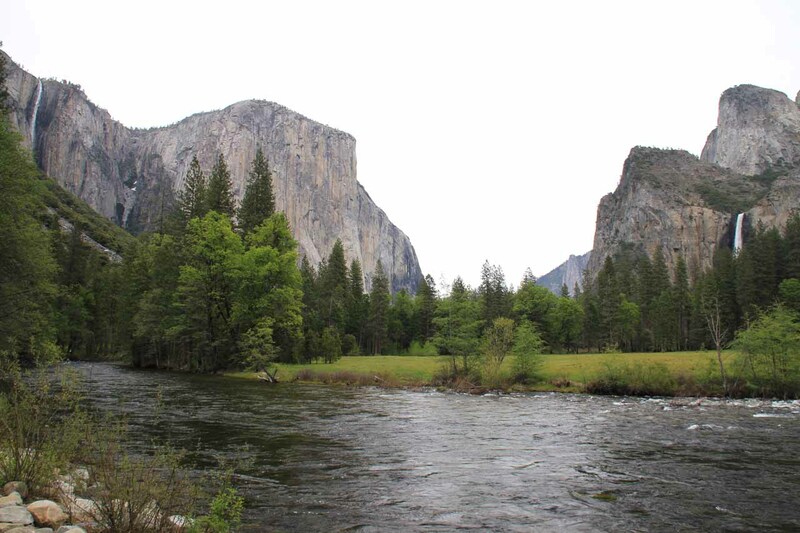 From this vantage point at signpost V10 on the Northside Drive (typically one-way going west), you can see Bridalveil Fall from across the river. 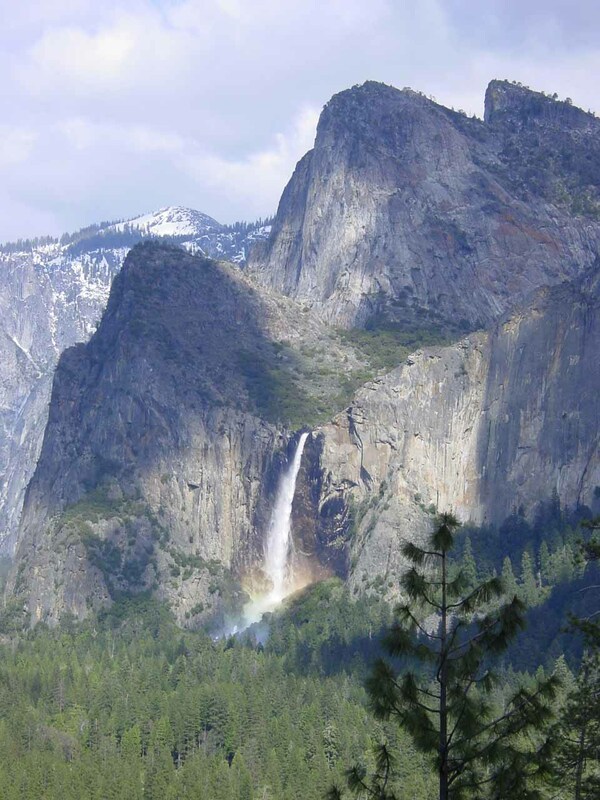 The waterfall towers over trees at its base and you can even see the Leaning Tower rock formation to the right of the falls. There’s a large pullout area so you can stop the car and check out this scene before continuing further along the Northside Drive to Valley View about 0.8 miles later. 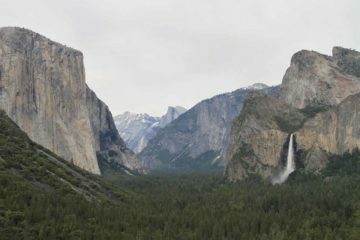 From this vantage point, we were also able to see Bridalveil Fall as well as the Leaning Tower just like the view from across the Merced River. 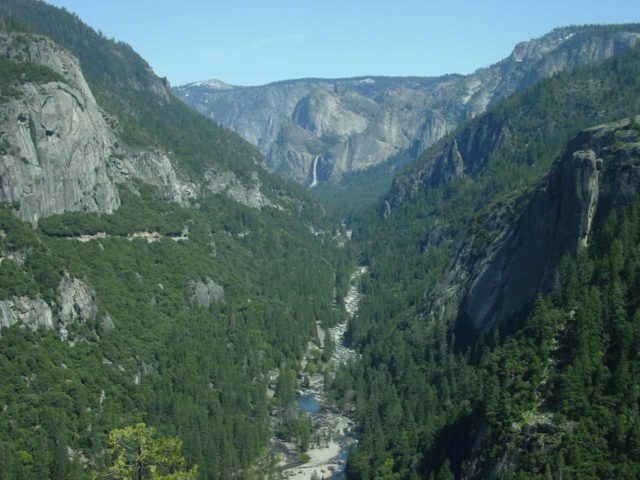 This vantage point, which is along the Southside Drive near signpost V14, has the added advantage of affording us views towards Ribbon Falls, El Capitan, and even an alternate trail to the base of Bridalveil Fall if the main car park is full or if we happened to miss the turnoff for that car park. There are very long pullouts on both sides of the typically one-way eastbound road so there’s ample space and time to just pull over and take our time. As mentioned earlier, it’s also an alternate parking spot to the often-crowded parking lot for the Bridalveil Fall’s base itself at the signpost W1. The walk from here to the base of the waterfall was about 0.4 miles or 0.8 miles round trip. 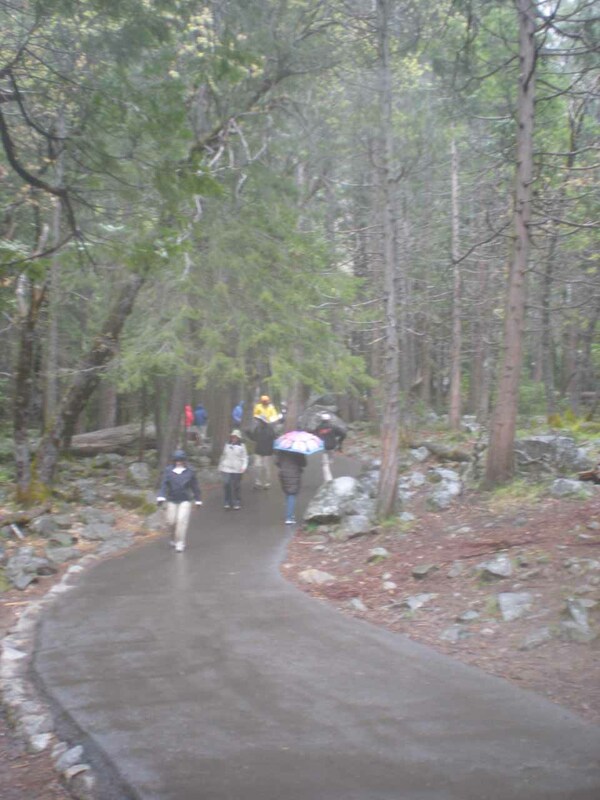 This path also happens to be much quieter than the main paved trail to its base. Most of this trail was unpaved until it joined up with the paved path that ascended to the misty base. 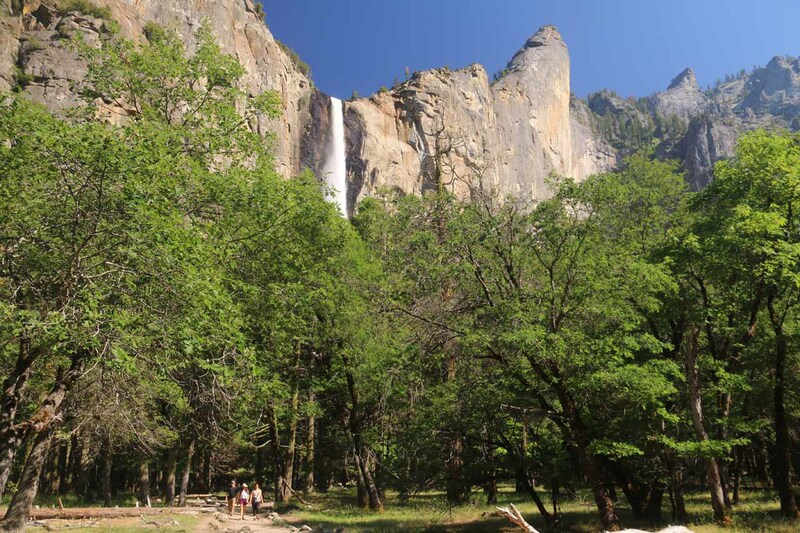 There is still yet another way to see this waterfall from a very different vantage point. 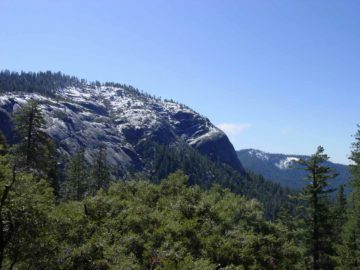 This one involves driving up (or down) the Big Oak Flat Road (Hwy 120) and pulling over at signpost B3 (probably more easily accessed if you’re going towards the valley since you’ll have to make a left turn to get into the pullout if you’re going uphill). This pullout is right in front of a tunnel as you’re headed away from the valley (or after the 3rd and last tunnel as you’re headed towards the valley). 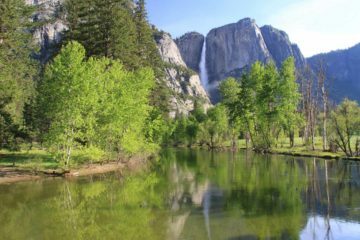 What makes this vantage point different is that you can see along the Merced River and its rugged canyon before the waterfall, which sits way in the background. 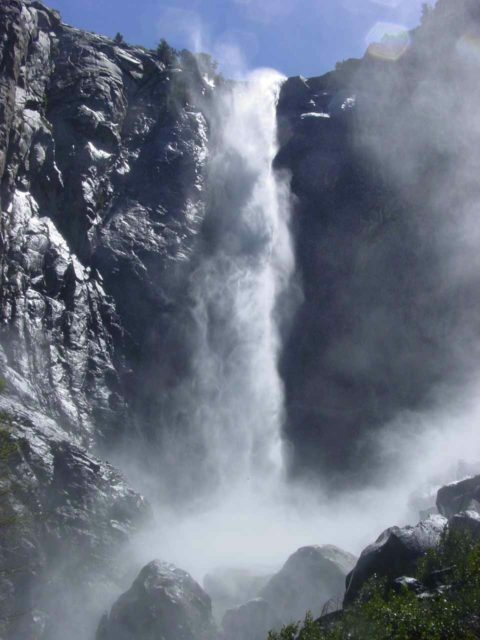 Bridalveil Fall resides in Yosemite National Park. For information or inquiries about the park as well as current conditions, visit the National Park Service website. 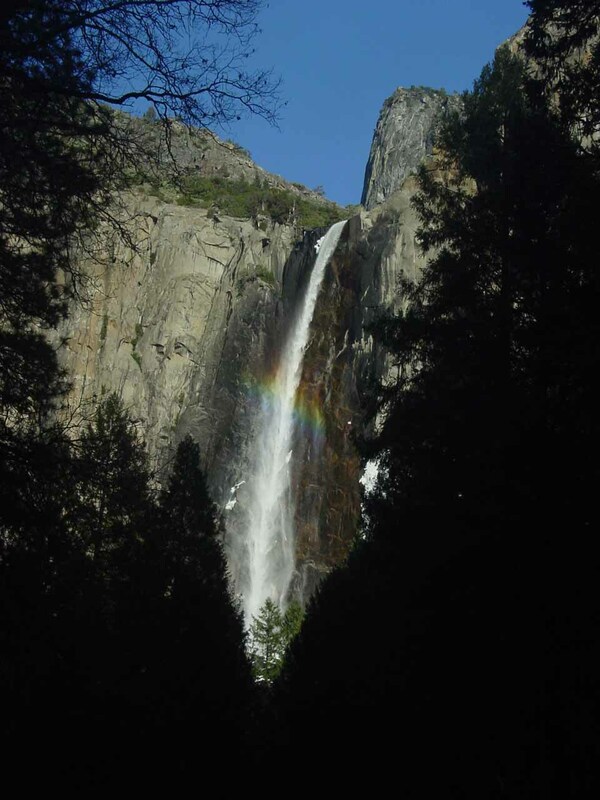 Bridalveil Fall sits at the foot of Yosemite Valley. To get to most of the excursions highlighted above, we first had to get to the general vicinity of Yosemite Valley. 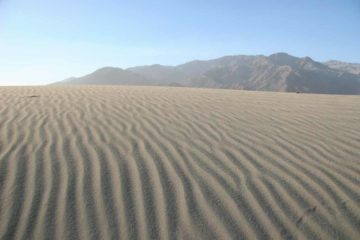 Since we generally approach the park from the south (being Los Angeles residents), that meant we drove several hours north on the I-5 then the Hwy 99 through Central Valley to Fresno. Once we were in Fresno, we took the Hwy 41 through the towns of Coarsegold, Oakhurst, Fish Camp, etc., which ultimately led us to the South Entrance of Yosemite National Park. 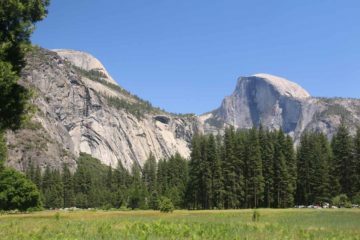 Then, we followed Hwy 41 all the way to Yosemite Valley another 45-60 minutes later. 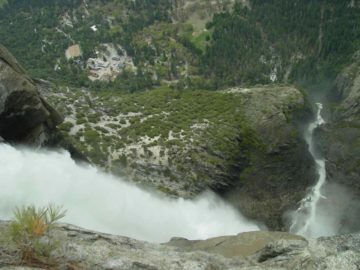 At this point, the various ways to experience the waterfall as described above can be followed. 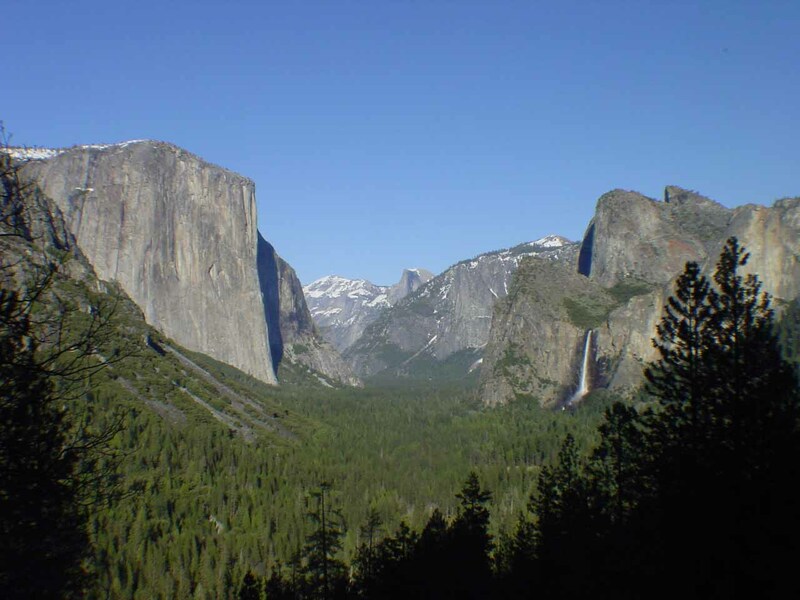 The drive from home up to the foot of Yosemite Valley typically would take us about 6 hours, though this tended to depend on traffic as well as where in LA we were taking off from. 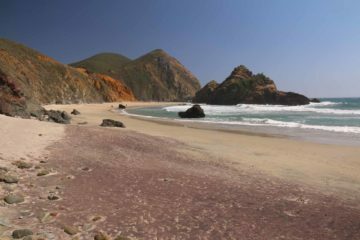 The drive from San Francisco took us roughly 4 hours or so, though that would mean entering the park either through the Arch Rock (West) Entrance or the Big Oak Flat (Northwest) Entrance. 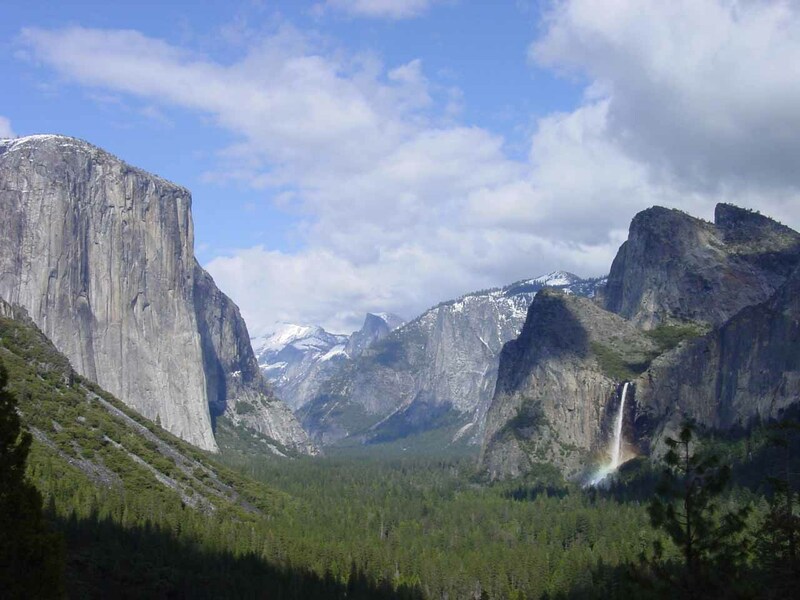 All the park’s main roads (except the Tioga Road) ultimately reach Yosemite Valley.